Recently, I was watching one of those nostalgia television stations, TVLand or MeTV, and saw an episode of “Hogan’s Heroes.” It was mail call and Hogan got a letter from home. He opened it and commented that the censor had liked his letter, it had more holes in it than a wedge of Swiss cheese; he jokingly asked if they had a player piano so he could play his letter. That reminded me of the stories my dad told me about his times in the army during World War II. He said secrets were a big deal back then. Most times, he and his men knew little of what was going on, didn’t know about their next mission and when and where they were going. He said it made sense. After all, many of the men were, quite honestly, simple hicks from the sticks. Give them a few drinks in them, shake a fine firm behind or curvy breasts in their faces and they’d spill everything they knew. Everyone knew this was true. Still, not knowing what was going on did get the boys to wondering, gossiping and worrying. My dad told me there were many times when the fellows were depressed, they were sure they were losing the war! The Germans were better-trained, better-equipped, better-led and just plain better soldiers. What chance did the Allies have? Of course, the soldiers didn’t know, for example, how high command, well, Alan Turning, in fact, had cracked Enigma, the German code machine everybody thought unbreakable and thus knew all their secrets. Rommel needed fuel for his tanks; well those tanker ships never made it across the Mediterranean. My dad, writing home, conveyed his surprise at their victories and tried his hand at his own secret code. He knew it was important not to say too much, the saying “Loose Lips Sink Ships,” was on his mind. He knew the censors would chop out anything too blatant, but he wanted mother and pop to get the hint that he was relatively safe. Hints buried in homemade code. Thus, he tried to put hints in his letters by referencing people and places his parents knew. It was only after the war, on returning home, that he learned no one figured out any of his hints. It seemed he was a little too clever. At the same time, while in the dark on many events, as a Warrant Officer, my father learned some details of some plans. The most important was the plan to invade Sicily. As it was most important for taking Italy, a massive operation, code named Operation Husky was underway and part of it involved teaching the officers French. Yes, you read that right, French. The Allies knew there were many German spies among the Arabs in Tunisia and so part of the invasion plans called for deception. 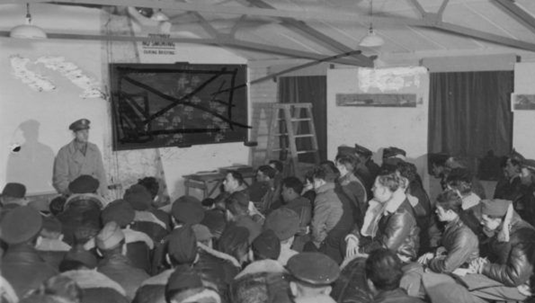 There were classes to teach the officers French. The hope was that the German spies, in Tunisia, would report this fact to the Germans; in turn, the Germans would think the Allies were bypassing Sicily, in favour of invading southern France. My dad, although no expert linguist, at least understood the structure of the French language. He thus taught basic French to a class full of officers. He later told me how proud he was of his students. They became quite fluent in French. Yet, he was never sure just how effective their little act had been. After the war, he learned of Operation Barclay and Operation Mincemeat, two plans used to fool the Germans regarding the intended invasion route. Codes and ciphers are important. This experience taught my father the importance of codes and ciphers as well as the need to keep secrets in time of war. Who knows, maybe all those French classes led to even one German platoon or company redeployed from Sardinia to Southern France. Thus, a few lives saved and that makes it all worthwhile.